The Building Permits and Inspections section assists citizens, builders, and developers secure building permits in compliance with the North Carolina State Building Code. Various types of inspections are conducted in order to secure a Certificate of Occupancy and Compliance to occupy a structure. 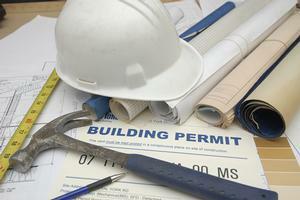 Building Permits - Due to the complexity and variety of applicable regulations, it is STRONGLY RECOMMENDED that a conference be scheduled with the Johnston County Inspection Department and Selma Planning & Economic Development before beginning any building, plumbing, mechanical, or electrical project. Specific criteria and documentation is required for any permitted project, but varies greatly depending on the nature of the work. PLEASE CALL IN ADVANCE OF ANY CONSTRUCTION. A Zoning Permit from the Selma Planning & Economic Development Dept. must accompany a building permit application for a new structure, addition or change of use. Fire Code Inspections - Consistent with State law, the Town conducts periodic Fire Code inspections on commercial structures. These inspections are conducted at the owners' expense at a rate set by the State of North Carolina. Fire Code compliance is extremely important to the safety of the persons using, visiting and being housed in commercial structures.